Engineers and physicians at the University of Washington have developed a smartphone app to check for jaundice in newborn babies. 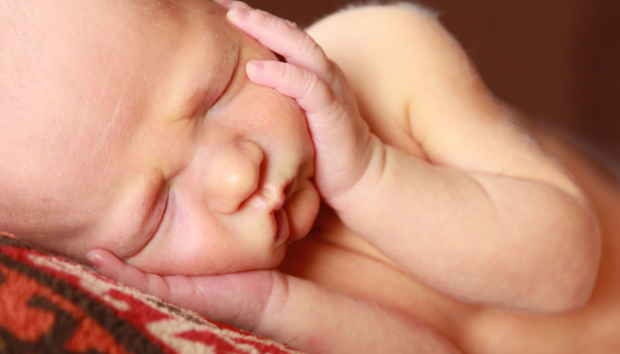 Jaundice is a common problem amongst newborns. And it can be very serious, even causing brain damage if untreated. The app, called BiliCam – it uses the phone’s camera to track levels of bilirubin – should have clear benefits in both emerging and developed countries. BiliCam is not yet available. But once it is, should prove very easy to use. The parents will simply need to download a copy of the app and obtain a business-card-sized colour calibration card. They will then need to place the card and on the baby’s belly and take a photo. As jaundice is characterised by a yellowing of the skin, data from the photo will then be sent to the cloud and analysed by machine-learning algorithms. A report on the baby’s bilirubin levels will then be delivered straight back to the parent’s phone. We catch up with James A. Taylor of the Child Health Institute at the University of Washington to learn more about the development of the app and how soon it is likely to be available. Can you explain what lead to the development of this app? As a paediatrician who is the medical director of a large newborn nursery, I have tried to estimate bilirubin levels (the cause of jaundice) on literally thousands of babies. I had the basic idea that perhaps computer analysis of images of newborns could do this better than the human eye. Through a colleague I was connected with Dr. Shwetak Patel at the University of Washington Department of Computer Science. He and his laboratory took this basic idea and developed a sophisticated software application. How did the presentation of your initial research findings go at last September’s Seattle conference, UbiComp ’14? We received a fair amount of publicity after presentation; [in fact] we received emails from every continent, except Antarctica. Do you envisage BiliCam being used all over the world? Yes. In high-income countries BiliCam could be used as a triage tool by parents and health care professionals to both identify babies with significant jaundice and allay concerns that a baby has a low bilirubin level. However, in low-income and middle-income countries, permanent brain damage and death remain an important, and underappreciated, cause of newborn morbidity and mortality. A primary cause of this is the lack of accurate and inexpensive way to measure bilirubin. Now that low-cost phototherapy units have been developed (to treat newborn jaundice), BiliCam could truly be a “gamechanger” and be a crucial addition to a system of care that could literally save the lives of thousands of children annually in low and middle-income countries each year. Smartphone cameras often deliver very poor results in low light conditions and as per the next phase of your research darker skin pigments will obviously prove a problem – how do you intend to solve these issues? We use both images obtained in ambient light (and recommend moderately bright indirect lighting) and “flash” images using the camera’s flash. This has led to good results. We definitely need to do more testing in newborns with darker pigmented skin, but so far, the results in children with darker skin pigments have been good. We are hopeful that the algorithm we’re developing is sensitive enough to differentiate the colour of jaundice from the skin colour. Does this mean this smartphone app will work even on the lowest end feature phones with the most basic cameras? The image and processing done of the phone if very simple. There is no reason why it shouldn’t work on a wide variety of devices. When will this be ready for the market? We hope to have completed our initial studies to validate the app within one to two years. What other tech-enabled research projects do you have on the horizon? This is the only project like this that I’m involved in. My partners are also working on an app-based method of measuring pulmonary functions in patients with asthma or COPD [Chronic Obstructive Pulmonary Disease] that is extremely innovative. Is there anything else you’d like to share with an international IT audience? We’re open for any suggestions on how to make our technology as good as possible.